The crisis of leadership in both the Jewish and non-Jewish world is at an all all-time high. Many people in leadership roles, including presidents, prime ministers, mayors, CEOs, rabbis and teachers have been found to engage in immoral or illegal activities. Some individuals who many people thought were their heroes often turn out to be anything but as they engage in self-centered behaviors. In the Jewish community, some of those leaders whom Jews previously respected have been accused or convicted of crimes or improper behavior. In addition, search committees in the Jewish community who try to replace retiring leaders take longer and longer to find candidates worthy of that leadership. There are fewer and fewer rabbis today whom everyone looks up to and acknowledges as true leaders. Why is this occurring specifically now? 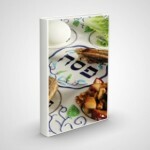 What is the definition of a true hero and a true leader in Judaism? Perhaps after defining through the sources what authentic Jewish heroism and leadership are, we might begin to choose different kinds of leaders for today. A hero in Western society is generally defined as “a man of distinguished courage or ability, admired for his brave deeds and noble qualities.” We know of many heroes who have performed various heroic actions. Yet if we were to ask today’s youth who their heroes are, who they want to be like, the overwhelming majority (in survey after survey) answers athletes, actors and pop singers. The values of most of these individuals (while there certainly are exceptions in every field) do not usually represent the best of Western society’s values and certainly not Jewish values. What, then, is the Jewish definition of a hero, and how is this definition the same as or different from that in society at large? 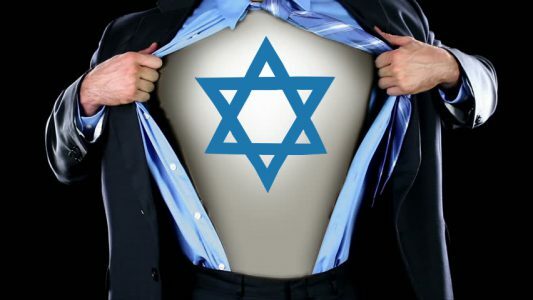 What makes a hero become a uniquely Jewish hero? The closest words for the terms “hero” and “heroism” in Hebrew and in the Bible are “Gibor” and “Gevura.” However, if we examine the use of this word in the Bible, we will see that it is rarely used in the sense of heroism, and it sometimes has a negative reference. For example, the very first time the word Gibor appears in Scripture is in describing Nimrod, who is regarded as evil in Jewish thought. The Torah twice says that he was the first Gibor, referring to his hunting skill. One commentary describes Nimrod in a positive light, as the person who showed courage in hunting and then taught humanity how to hunt animals. Rashi, on the other hand, says that Nimrod “hunted” people and used his cunning to rebel against G-d.
Later, Jeremiah warns people not to feel self-important and haughty due to their attainments of wisdom, strength, courage and wealth, but rather to realize that these accomplishments all come from G-d. Clearly, the quality of a Gibor which is referred to in verses is primarily that of physical strength, and not necessarily a characteristic to be admired or that is heroic. But then, after all these amoral references to human beings as Gibor, we find that G-d Himself is described a Gibor, first in the Torah itself, and then repeatedly by Jeremiah and King David in Psalms. Obviously, this description cannot be referring to physical strength since G-d has no physicality. What, then, does this term signify and how does it relate to our original question about heroism in the Jewish sense? A Film Competition to Inspire Jewish Women! New: Essay & Source Sheets on Self Defense in Jewish Law New: Essay & Source Sheets on Tattoos, Jewish Burial & Permanent Makeup Introducing the One Jewish People Project Using Animated Plasticine to Ignite Jewish Pride!